Samantha Reynolds knows what it’s like to lose a lifetime of memories. When her grandmother died suddenly after a routine operation several years ago, Reynolds realized she had missed the opportunity to record her grandmother’s stories and felt the void of a legacy lost to time. With the help of her family she created a book of testimonials and memories about her grandmother and went on to do similar books for friends and family members who were getting married or celebrating milestones. Inspired by the notion, she launched a business dedicated to the creation of personal memoir books for anyone who wanted one; Echo Memoirs specializes in making hardback coffee-table books with an entirely personal edge. Life stories, family histories, entrepreneurial accomplishments and the lives of pets and kids are just some of the topics clients can focus on when they commission a book. 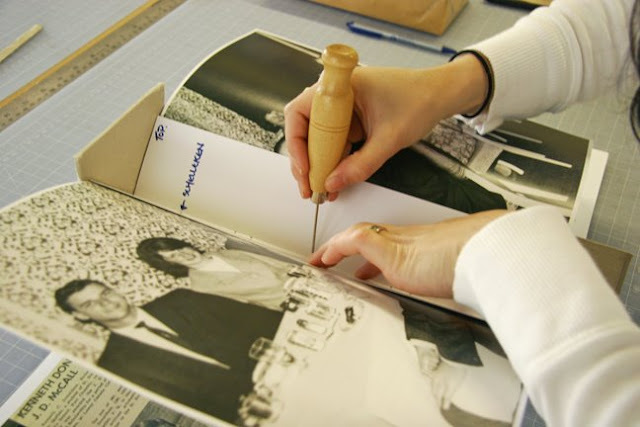 In the bindery, two staffers put some finishing touches on a book. Clients are first treated to a phone consultation in order to determine the subject, basic length and purpose of the memoir. During subsequent taped interviews, by phone or in person, thought-provoking questions are put to the clients in order to get natural responses. These are then transcribed and professionally edited and woven into chapters, which are later shown to the clients for feedback, suggestions or any corrections. The best photographs are gathered by family, with the guidance of the project manager, and professionally scanned. 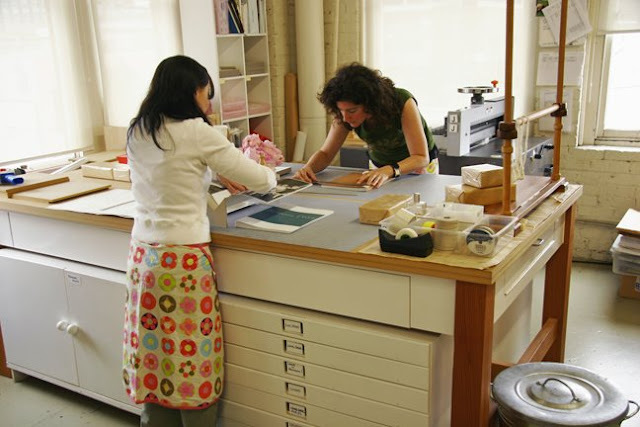 Once the book’s layout and design is complete, it is sent to a colour printing press and later hand-bound in hardcover at Reynolds’ Vancouver studios. Reynolds says the final result always induces an emotional response. Reynolds, who studied journalism at the University of Victoria and worked as a freelance writer and designer, says working closely with her clients is instrumental to a project’s success. This devotion to duty is reflected in the price of the projects: personal memoirs start at $30,000; corporate books start at $50,000. Twelve to 15 people from the editorial department are assigned to one project, giving each client between 300 and 3000 hours of personal attention with interviewers, writers, proofreaders, designers, book-binders and photo technicians. Since the company started in 2001, Echo Memoirs has created over 200 personal and corporate memoirs across Canada and the U.S. 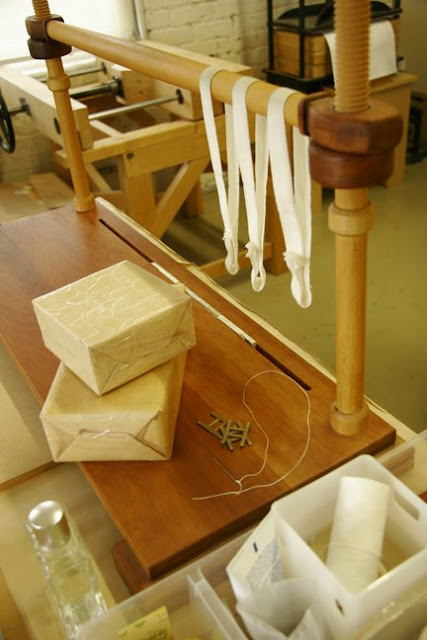 Traditional book-making practices are used to make the highest-quality, handmade product possible. 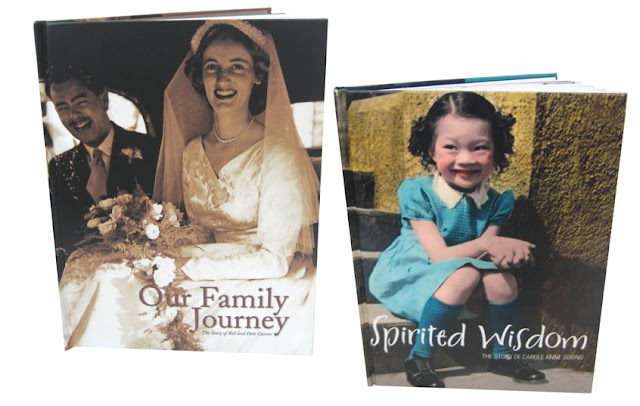 · Ask parents and grandparents questions about the past and urge them to tell their stories. Record those conversations on tape. · Take lots of photographs and caption them right afterwards, either in a scrapbook, on the back of printed photos or by digitally naming a file. · Go on a family vacation to a place of ancestral meaning (a grandparent's childhood hometown, the country where your great-grandparents emigrated from, etc.) and bring along a handheld video recorder to record the family's experience. · Tape-record your "elders" at the next family reunion - or just at Christmas dinner this year. At 31, Reynolds has a lifetime of her own memories yet to create, but she imparts some sage advice to anyone with a dream.